The Timepiece Protection plan is an upgraded option, extending beyond the Tourneau and Manufacturer's Warranties that come with every new watch. While these warranties cover just the internal movement, the Timepiece Protection Plan offers more comprehensive protection to keep your watch in pristine condition. See Terms and Conditions. 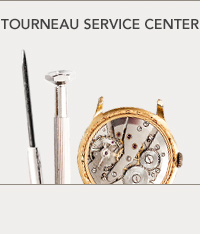 Why do I need the Timepiece Protection Plan if I already get the Tourneau warranty at no cost with my purchased watch? Mechanical or structural failure, Mechanical failures are covered after manufacturer/Tourneau warranty expires. What is the length of coverage for this plan? The length of coverage is 3 years. Can I extend coverage beyond 3 years? Unfortunately, you cannot. The Timepiece Protection Plan expires 3 years after purchase. What if my watch can’t be repaired? If your watch can’t be repaired, we will replace it* with another watch of comparable type, quality, functionality, features, and value as the original product. If replacement product is not available, a store voucher, not to exceed the original product purchase price plus sales tax paid will be issued. Product replacement or store voucher issuance fulfills the contract in its entirety. Do I have any out-of-pocket costs with this plan? No, there are no additional fees after the purchase of this plan. Yes, this plan may be transferable by contacting the Administrator or Tourneau. Contact the Administrator at 1.866.368.1668 for instructions on obtaining repair or replacement. Outside the United States, contact the Administrator by calling collect to 580.354.4324 or emailing us at jewelrycustomercare@assurant.com. For domestic customers, call 1-866-368-1668. For international customers, call 1-580-354-4324. Are there others ways I can purchase the plan besides online? 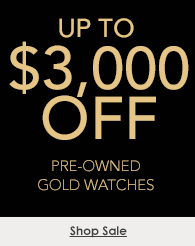 Yes, you can purchase the Timepiece Protection Plan by calling Shop-at-Home at (800) 348-3332 Monday- Friday 9:00 am - 5:00 pm, EST or visiting a store. If you do not purchase the plan at the same time as your watch, you can only purchase it at a Tourneau store within 14 days of the watch purchase date. Plan is administered by Federal Warranty Service Corporation, except in FL, where United Service Protection, Inc. is the Administrator. The Obligor of the Plan is Federal Warranty Service Corporation in all states, except CA, where it is Sureway, Inc., and Florida, where it is United Service Protection, Inc.
*If the watch is replaced or a store value is issued, the Plan is fulfilled. **Replacement is with comparable type, quality and functionality. If a replacement watch is not available, a store voucher is made, the plan is fulfilled (N/A in AZ and NV).